Happy New Year and welcome back. On Thursday 12 January 2012 the Supreme Court will resume with the one day hearing of Petroleo Brasileiro S.A. v E.N.E. Kos 1 Limited. 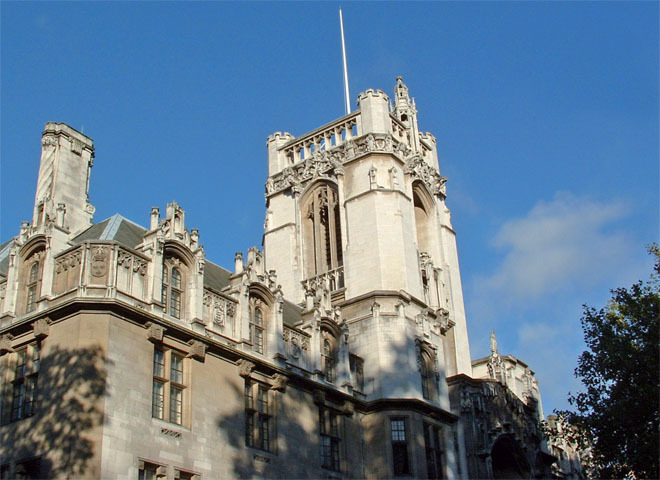 This appeal from the Court of Appeal (Civ) will be heard by Lords Phillips, Walker, Mance, Clarke and Sumption and concerns the respondent chartering a vessel from the appellant owners and missing the hire payment, resulting in the vessel being withdrawn whilst laden with cargo. It is for the Supreme Court to decide whether a shipowner is entitled to compensation for the detention of the vessel and/or the cost of bunkers consumed for all or some of the period from the time until completion of discharge of the cargo following the valid withdrawal of a vessel with cargo on board. The case details are available here. Hilary Term begins in the Privy Council on Thursday 12 January 2012 with the one day hearing in front of Lady Hale and Lords Hope, Brown, Kerr and Wilson of Rukhmin Balgobin v South West Regional Health Authority, which is on appeal from the Court of Appeal of the Republic of Trinidad and Tobago. The appellant was injured on duty as an emergency medical technician and the appeal concerns the effect of a default judgment entered at an early stage of proceedings on the appellant’s rights subsequently to pursue the other defendant for damages. Here are the case details. There are no judgments to be handed down in either court this week. Flood v Times Newspapers, heard 17 – 18 Oct 2011. JP Morgan Chase Bank N.A. & Anor v Berliner Verkehrsbetriebe (BVG) Anstalt des Oeffentlichen Rechts, heard 11 November 2010. Perpetual Trustee Company Ltd v BNY Corporate Trustee Services Ltd and Lehman Brothers Special Financing Inc; and Belmont Park Investments PTY Ltd v BNY Corporate Trustee Services Ltd and Lehman Brothers Special Financing Inc, heard 1 – 3 March 2011. R v Waya, heard 5 May 2011. Lehman Brothers International v CRC Credit Fund Ltd and GLC Investments PLC Sub Fund, heard 31 October – 3 November 2011. Rabone & Anor v Pennine Care NHS Trust, heard 7 – 10 November 2011. Ministry of Defence v AB & Ors, heard 14 – 17 November 2011. BAI Ltd v Thomas Bates and Son Ltd, BAI Ltd v Durham, Municipal Mutual Insurance Ltd v Zurich Insurance, Municipal Mutual Insurance Ltd v Zurich Insurance Company and Adur District Council and Ors, Independent Insurance Company Ltd v Fleming and Anor, Municipal Mutual Insurance Company v Zurich Insurance Company and Ors, Excess Insurance Company Ltd v Edwards, Excess Insurance Company Ltd v Akzo Nobel UK Ltd and Excess Insurance Company Ltd v Amec plc, heard 5 – 14 December 2011. 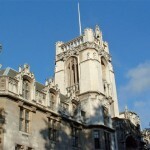 Leave a reply on "In the Supreme Court w/c 9th January 2012"